On tours and on running. I run, and I run tours. Running is my great hobby. I have recently qualified to run Boston Marathon. A dream come true. Running bird watching tours for Kolibri Expeditions is my work. But as you imagine it is a hobby that became my work. I am very fortunate. This post is about our upcoming tours the next 12 months. If this topic interest you, you do well to continue reading. I am also asking you for some help. I was devastated by a robbery recently. The simplest thing you could do is to share this post with other birders. Or if you have runner friends I am sure they will enjoy this post that I wrote recently on my new running blog: 10 secrets how to qualify to Boston Marathon. 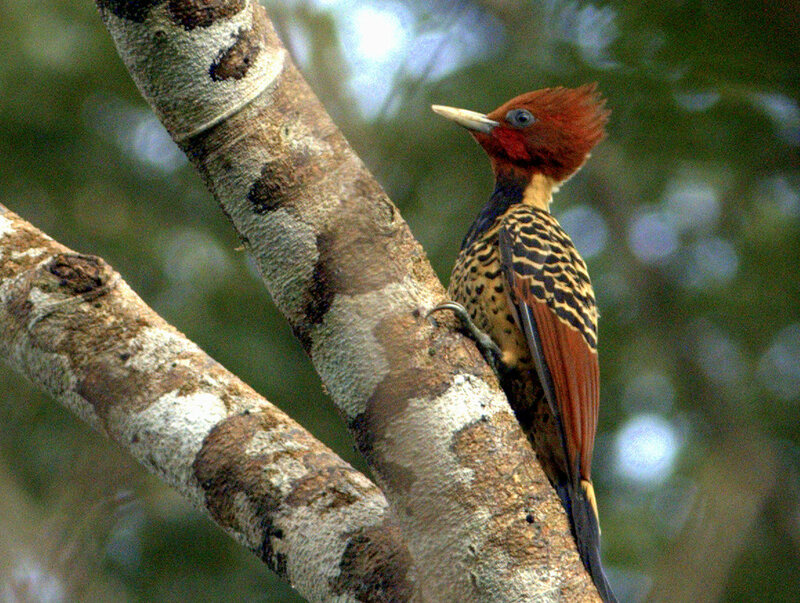 From the end of March we run a 8 day Northern Peru trip, with a Scarlet-banded Barbet extension. After the Barbet one may continue a 9 day Northern Peru trip at Tarapoto and finish in Cajamarca if one watnts to complete 3 weeks in the North. The route can also be run independently. There is an active nest of Harpy Eagle in Tambopata –the Amazon rain forest and there has been some people interested in arranging a trip there during April? Maybe something for you? Anyone interested in doing a Chicken Race in Colorado. Join a week long trip to watch leks of Sage Grouses, Prairie Chickens, and grouses in Colorado. There is a confirmed trip for the Southern Circuit in Peru, which combines both birds and culture, as well as nature in general. In may we also organize a week long trip to Arizona with Chris West. Good time of year for anywhere in Peru. Open to suggestions. Perhaps Amigos which we just revisited with Noah Strycker. We should be able to offer Amigos in different price ranges, since there are different cabin/room options. There is a two week trip to North Peru with Machu Picchu as add-on, planned that currently has 2 people signed up. Good lodging through-out. Join them for a better price. Birdquest has a tour to Central Peru, which we make arrangements for. Birdquest is known to be very thorough and go for all endemics. On July 26 there is a confirmed pelagic. At the same time in August we have a Chinese large group of bird photographers. It is a private group, but if Mandarin is your native language, it may be something for you. We also plan our yearly California trip in August. In September we shall run our second Southern Circuit. It is a good time of year if you like good food, because we try to combine it with the Mistura Food Festival in Lima. There are some additional tours in the work. In October we are setting up BIrdquest’s North Peru trip. This trip also has a few vacancies. We have not set our own program for October but we are open for suggestions. In November we have a private client who wants to clean up. That is, he has already done the main trips in North, Central and South Peru, but it was a few years ago, before the sites for Pale-billed Antpitta, Long-whiskered Owlet and Scarlet-banded Barbet were accessible. This will be an exciting three weeks trip. The client is open to sharing costs as long as his agenda does not change. I think many people who were doing their Northern Peru trips a few years ago, will have a similar hit list as our client. Let me know if interested. We are looking at a doing a three-four week NW Brazil trip. We already have a few clients signed up. Interested? Antpittas and Hummingbirds in Northern Peru and Ecuador. Colombia programs. West and Central Colombia and/or NE Colombia with Santa Marta 12 days.. And North Peru programs of course. Guyana, Boa Vista, Roraima, Surinam combo 3 weeks. There you have it. If you sign up for any of these trips for the coming 12 months, it would obviously be of great help to retrieve my equipment as soon as possible. I am also open for suggestions for other trips in Peru or South America. Northern Peu – tell me when? Then I will try to match up the replies to find one or two best dates and length of trip. My backback with $5000 worth of equipment, including two cameras full of bird photos from my last tours and a hard disk containting a year and a half of bird photography. Many of you can relate to the feeling of loosing work and personal memories through theft or hard disk crashes. Money is the small part of that. But sure, insurance replacing the valuables make it more bearable. Such insurances do not exist in Peru. I got some help recently as a Facebook friend suggested I create crowdfunder. So I did, although the IndieGoGo campaign has now finished. If you still like to chip in, and you can’t do a tour with us this year, there is a paypal account (Gengblom@gmail.com) where one can contribute. This would greatly help in getting new camera gear. It would also be great if you could share this post with your birding friends, who may be considering a tour to South America. The main reason why I gave in and did the crowdfunder, which was in many ways quite embarrassing, hustling friends and clients, was that it was only 6 weeks to my supposed Marathon in Boston. It was completely off the grid with this huge economic blow. My running had had two amazing years and qualifying to and running the Boston Marathon was going to be the summit of my efforts. I have run since I was in my late teens and did my first marathon when I was 21. But not until now have I been able to qualify to Boston Marathon. I always used to get injured and two years ago, I practically had decided that this last effort had to work or I would stop even trying. Amazingly, I have managed to stay injury free for the whole time. I made a lot of changes that worked out very well. Thanks to the crowdfunder which raised $1200, and the moral support from many online friends, I decided to indeed run Boston this year as planned. If you or a friend of your is interested in running, I am sure you can get some good tips from this recent blogpost I did explaining the 10 secrets to these amazing last two year. Share this with someone who is struggling with Marathon running. ← Noah Strycker Big YEAR birding in Peru. Sign up to our bi-weekly newsletter! Fantastic day birding on the lower Manu road with 57 additions. But the best observation was a Tapir! Don't miss Noah Strycker's new book Birding Without Borders, where Kolibri Expeditions plays a significant role. Action packed and lots of interesting side stories. Here is my review. Gunnar Engblom on The Junin Grebe may go extinct and we did not even notice.